ISO is about communicating, and our ISO posters help! 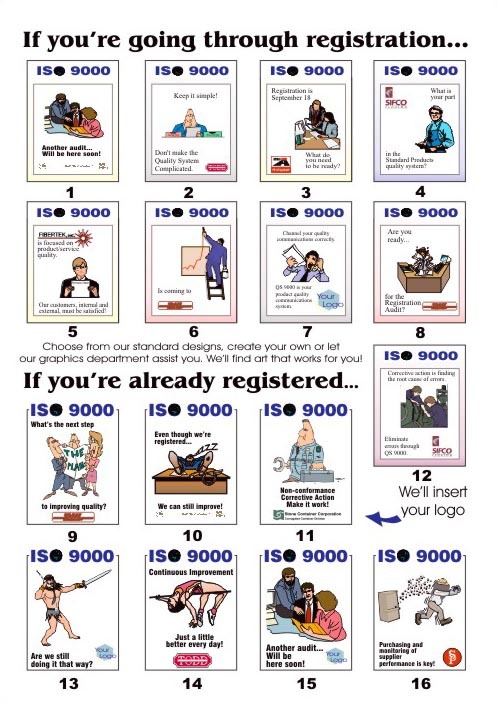 We have a standard set of ISO posters that help you spread awareness about the program you are running. 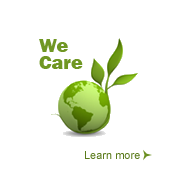 They can be modified for ISO 9000, 9001, 14000, etc., and we will put your logo on them. We also do posters for work instructions in your factory. They are a great way to bring knowledge out of notebooks and display it right in front of people. We can incorporate color photographs, charts, etc. We can do the layout for you, or you can create in your favorite design program and we'll print them. We support PowerPoint and all common design programs. Price includes inserting your logo and minor text changes; for quantity pricing, please call. Use our online order form by clicking the Order button below. You'll browse and select the logo file you want us to use on your posters, and then tell us how many of which ISO poster you want, and choose the size. That's it! Or, just give us a call!